If it is luxury, reliability and high-class features that you desire, you will find exactly what you are looking for in this year's RLX, a top pick in the luxury sedan segment, according to 2016 Acura RLX reviews. Updating its premium model, Acura has stopped at nothing to deliver the quality its customers demand. The 3.5-liter V6 engine provides ample power, while the precision all-wheel steer program offers enhanced stability and control. Plus, with the RLX, the term "comfortable ride" goes beyond the basic functions of a car; with additional amenities and easy-to-use features for your convenience, the 2016 RLX in Peoria will far exceed your expectations of a luxury sedan. In this year's model, Acura engineers improved upon the functionality and practicality of the RLX to offer consumers the best version yet. In terms of performance, the 2016 RLX includes an innovative 6-speed automatic transmission with additional paddle shifters. This system is acclaimed in 2016 Acura RLX reviews for its ability to combine control and convenience, all at the discretion of the driver. Additionally, the unparalleled drivetrain is met with even more incredible safety, entertainment and innovative features. 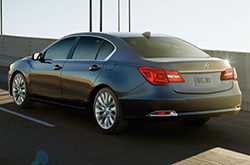 Full of the latest technologies, the RLX makes driving a breeze with extra accessibility and easy-to-use features. The multi-use display offers nine simple buttons to control various car functions and the navigation system provides real time traffic information at the touch of the screen. Other features include keyless access, an integrated text message function, temperature controlled seats, a multi-view rear camera, a premium security system and a blind spot information system. Not only is this model packed with amenities at your convenience, but thanks to the standard lane keeping assist, road departure mitigation and adaptive cruise control systems, safe driving has never been easier than it is in the 2016 RLX. Customers and critics alike agree in many 2016 Acura RLX reviews that the RLX has merit as a top choice in the luxury sedan class. To discover the value for yourself, test drive a 2016 Acura RLX in Peoria today and experience this high-end sedan that offers the perfect balance of utility and finesse. Is the Acura Right for You? The 2016 Lincoln MKS, Mercedes-Benz E-Class and the Volvo S80 are no match for the 2016 RLX! 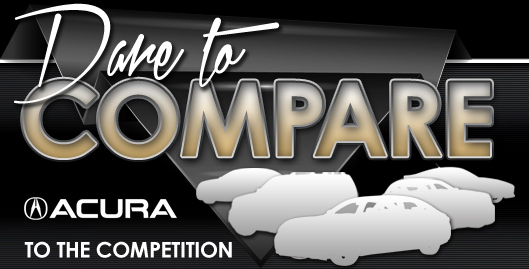 Just compare Acura's newest model alongside them and you'll find that it surpasses the competition easily. If the RLX's low sticker price and unique incar technologies don't persuade you that it's the right vehicle for your needs, we're sure its splendid exterior design will seal the deal. Many drivers in Peoria choose it because it's a truly outstanding value; compare its price to the forementioned vehicle options to see for yourself. Check out our Quick List underneath this text for more information about what it offers! 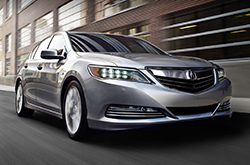 For reviews of the 2016 Acura RLX and past models, Acura of Peoria is your trusted resource. As the leading Acura retailer in Peoria it is our obligation to furnish our customers with reviews authored by the most skillful Acura writers around. This Acura review contains credible information about the RLX and it's specifications, powertrain options and more. Learn more about our finely crafted line of vehicles; visit the research index to review and compare other models available at Acura of Peoria now!